EMCOM provides M2M solutions for customers all over Norway, where weather conditions can be extreme and where wired Internet connectivity is complicated by the mountainous landscape, pierced by roughly 1200 fjords. One of EMCOM’s Norwegian clients creates value for its customers by optimizing energy efficiency and reducing the costs of electricity and insurance. 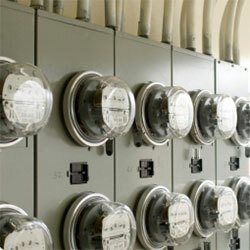 Their metering and energy management department was still using fixed lines and older GPRS modems to connect to the company’s meters and energy intelligence devices. They wanted to upgrade to a modern mobile networking solution, so they brought in EMCOM to provide the necessary expertise. EMCOM would plan the IP structure, select the appropriate communications equipment and antennas, configure the cellular routers, and insert the activated SIM cards. 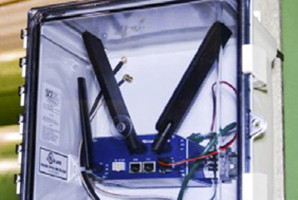 EMCOM also found that the physical space inside many of the controller boxes was very tight, so the routers would need to be relatively compact, with low profile antennas. LTE 4G would be a requirement, as the 3G networks will be rapidly replaced by the newer technology, and some of the locations would need the extra reach of 800 MHz. EMCOM chose the B+B SmartWorx LR77 Libratum cellular router for its ability to withstand temperature extremes, its compact form factor and its flexibility. 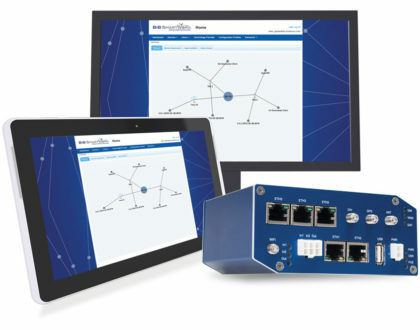 B+B SmartWorx routers can connect LANS, Ethernet devices, I/O RS-232/422/485 and even Wi-Fi. They not only provide connectivity and control for remote devices, they can be configured with custom scripts to support custom functions. Users may develop these with Linux, C, C++ or the Python language, although Linux is recommended. 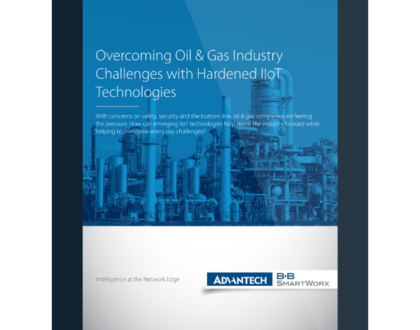 B+B SmartWorx also provides a downloadable library of these scripts and users modules, like our Modbus TCP to Modbus RTU module, which allows Modbus RTU data to flow over TCP/IP networks. The cellular networks are not proprietary, of course, so B+B SmartWorx cellular routers simplify VPN tunneling with our SmartCluster VPN server. Smartworx Hub™, our device configuration, diagnostics & management platform, lets users manage and configure any or all of their B+B SmartWorx routers from a single location. It displays your entire device population right on your desktop.